Since February 2019 we have been producing an exciting new programme of work for young people in Gateshead. Over the next two years, New Writing North will work with secondary schools, primary schools and community organisations in the area to introduce young people to creative writing using our innovative approach. 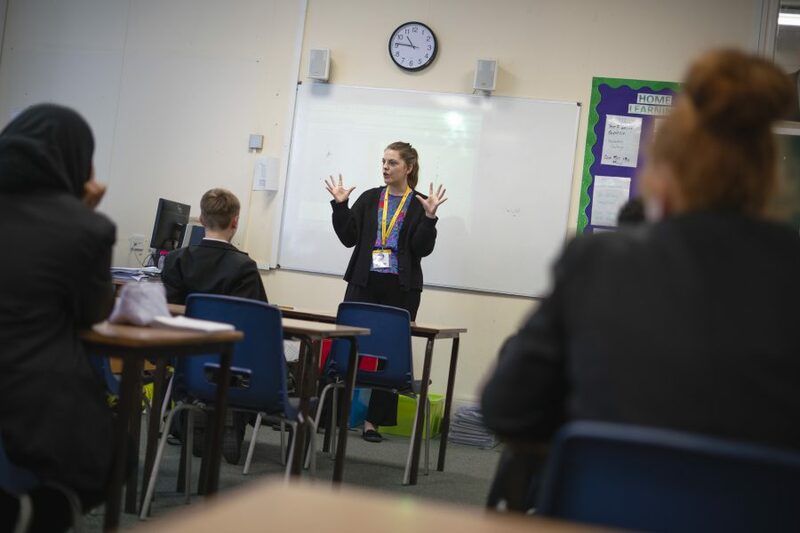 Each week, our Project Producer Becci Sharrock is based in Joseph Swan Academy, in Low Fell, and Kingsmeadow Community Comprehensive School, in Dunston. Becci works with visiting writers and artists to run termly creative writing programmes with around 400 Year 7 and 8 pupils each year, during their English lessons. In each school, writers will also run lunchtime and after-school clubs on a range of writing forms, from rapping and songwriting to screenwriting and poetry, so that all young people with an interest can develop their writing talent. ‘I enjoyed using powerful words, learning about poetry. The activities that we do are fun.’ Mosbah, Year 7, Kingsmeadow Community Comprehensive School. Outside of school, we’ll soon be launching a free Young Writers’ Group for 12-19 year olds, held every Saturday at Gateshead Central Library, complemented by a free creative writing summer school in the borough. The next two years will also see New Writing North establishing writing projects with Gateshead primary schools and local community groups. Throughout the programme, young people in Gateshead will be enabled to express their own creative ideas supported by professional writers and artists. They will meet other young people who enjoy writing, create new work, and share it with audiences including their families and peers. This programme of work is funded by the Kavli Trust, and its key partners are Gateshead Council, Joseph Swan Academy and Kingsmeadow Community Comprehensive School. We’re grateful to the Kavli Trust for its support and we’re really excited to introduce more activity in Gateshead later on in the year. Find out about our whole Young Writers’ programme here.